From the producer of The Blind Side and Life of Pi and based on the New York Times best-selling novel, The Shack takes us on a father’s uplifting spiritual journey. After suffering a family tragedy, Mack Phillips [Sam Worthington] spirals into a deep depression causing him to question his innermost beliefs. Facing a crisis of faith, he receives a mysterious letter urging him to an abandoned shack deep in the Oregon wilderness. Despite his doubts, Mack journeys to the shack and encounters an enigmatic trio of strangers led by a woman named Papa [Octavia Spencer]. Through this meeting, Mack finds important truths that will transform his understanding of his tragedy and change his life forever. I can't get a read on this one. After getting through the depressing heap of celluloid that is the awards season I'm looking forward to some lighter fare. It seems like this could do the trick but something feels off. 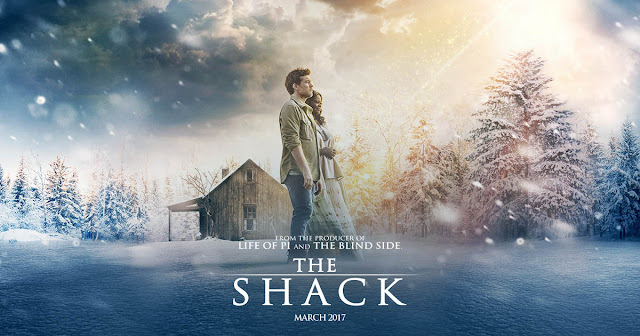 I'm not sure if its the marketing or the casting but my spidey sense is tingling on The Shack. I have a feeling this will be a divisive film for me. I'll either love it, or hate it, but either way I'm sure my reaction will not be "meh." Looking forward to finding out this Friday.